Comic Con has arrived in New York City! I was a bit confused yesterday when I saw people dressed up in costume because Halloween is still a few weeks away but then I remembered Comic Con is this weekend. I’ve never actually been to a Comic Con event, but I always love seeing the costumes people wear in pictures from the event and I would love to be in the audience of a TV show Q&A session someday! One of my friends is a huge fan of League of Legends, so in honor of New York Comic Con and all the people who will be cosplaying League characters, I chose a piece of fan art I found on Tumblr of Caitlyn the Sheriff of Piltover. Trust me, I spent a good hour deciding which League girl to pick for this. It came down to Leona, Janna, Winter Wonderland Lulu, and Caitlyn. 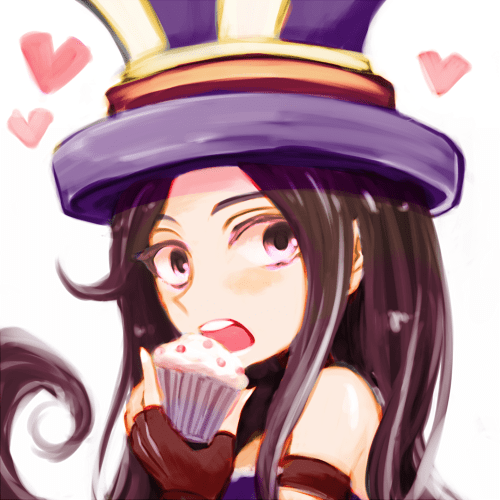 Caitlyn only won because of the cupcake! Also, who wouldn’t love wearing that hat at Comic Con?